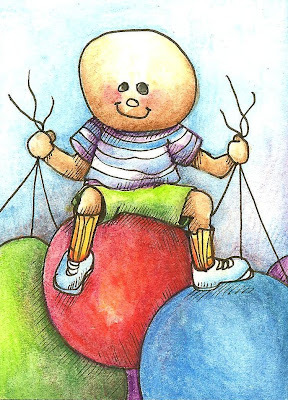 I've taken my Flying Balloon Kids and put them on ACEO/ATC's. Artist Trading Cards which traditionally measure 2.5 x 3.5. I've used watercolor and ink on Smooth Bristol Board paper.